New Delhi : Prime Minister Narendra Modi interacted with security guards across the country today via Audio Bridge intensifying his ‘Main Bhi Chowkidar’ (I too am a watchman) campaign. 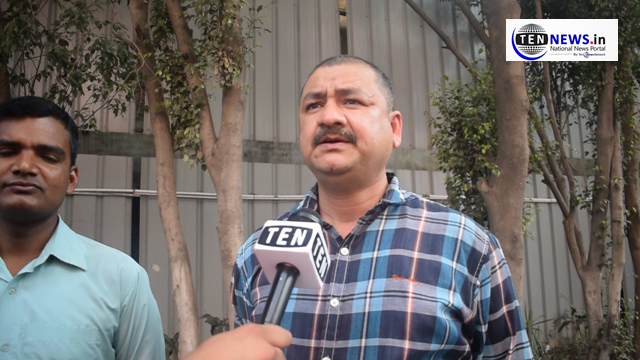 Speaking to Ten News Security Personnel working at Bhartiya Janta Party HQ, Delhi shared their opinions regarding the campaign initiated by PM Modi. On Saturday, Modi on Twitter had urged his supporters to take the ‘Main Bhai Chowkidar’ pledge, saying he was not alone in the fight against graft and social evils. BJP leaders, including party president Amit Shah, and Union ministers followed suit and later prefixed their names on the microblogging site with ‘chowkidar’ as they sought people’s support for the party in the Lok Sabha polls. #HOLI2019 : Delhiites looking forward to let Holi spirt Flow, not water!